Detailed model of radio telescope dish. Originally modeled in Lightwave. Tris only. Lightwave LWO file has layers and pivot points set up correctly and logically for easy animation. 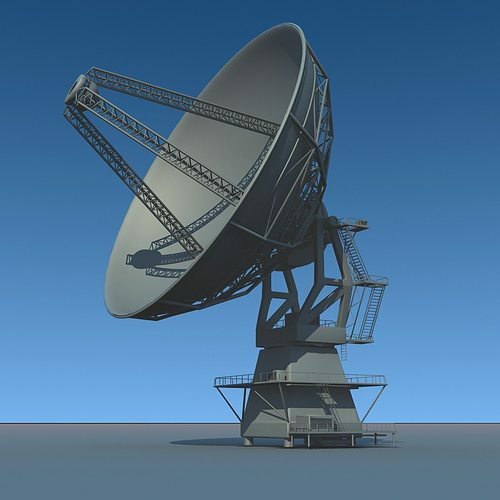 The dish and structure can be animated and rotated with correct pivot points. The object consists three layers: Base, Structure and Dish.